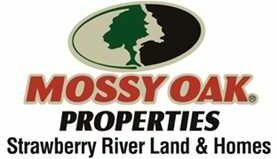 This 330 acre +/- property has mixed use recreational, timberland located near Cave City, AR in Independence County. This property holds an outbuilding and a small cabin. Has Curia creek running through it. Lots of whitetail deer,turkey and small game. Enough room for equestrian trails, ATV trails, hiking trails and you could do some bird watching. Lots of Mature Timber! Would be some great hunting property or a place to build a home. Electric and city water on property with a well for backup. Call Pam Welch to view this property at 870-897-0700.